With Readly you can read The 100 Greatest Photographs of the Paranormal and thousands of other magazines on your tablet and smartphone. Get access to all with just one subscription. New releases and back issues – all included. 100 of the most startling and intriguing photographs. They say seeing is believing. Here are 100 of the most startling and intriguing photographs you are ever likely to see. If you don’t already believe in the paranormal – they may convince you! The photos cover the entire range of the unexplained, from possible ghosts and spirit manifestations, through psychic powers and weird creatures to UFO sightings. 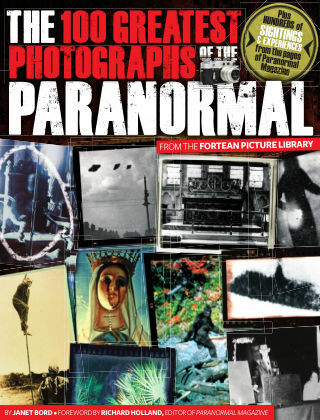 Contained within these pages are 100 of the best-attested photographs in the history of the paranormal. Also includes hundreds of Sightings news reports and readers' own spooky experiences and photographs from the pages of Paranormal Magazine.